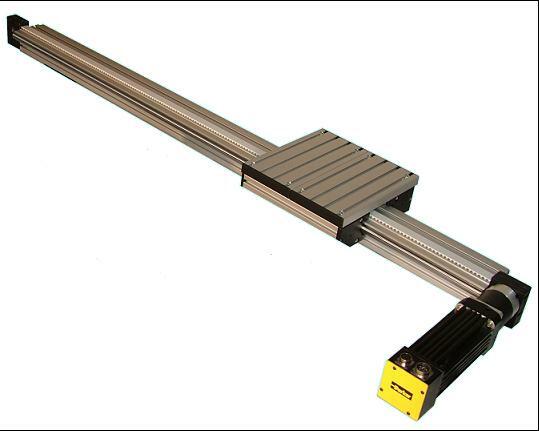 Linear Roller (LR) Series products from Parker IPS provide a high level of accuracy, load-bearing strength, and flexibility in a modular, low-cost package. Standard lengths of six meter and the ability to splice multiple sections allow configuration of nearly infinite stroke. LR Roller Bearings are made of 100 Cr6, ground and hardened steel, and provide low friction, long life, high speed, and heavy load capabilities. Bearing units are available as single and double roller types. The modular design allows for easy assembly, fast engineering, and flexible platform capable of meeting even the most demanding application. Carriage loads up to 753 lbs. BE Series Motors SM Series Brushless Servo Motors LR Series PV Series "In-Line Power and Versatility" PV Series "In-Line Power and Versatility"